I would like information on apartments in 471 Washington Street. Please contact me ASAP. 471 Washington Street is a 9-story boutique luxury loft property with 8 half- and full-floor lofts, 3 duplex maisonettes, and 1 penthouse with panoramic Manhattan views and over 4,000 square feet of private outdoor space. Located at the corner of Canal and Washington in the northwestern section of Manhattan’s trendy Tribeca neighborhood, 471 Washington Street was designed to convey both industrial fortitude and modern sleekness, and it’s stylish glass and grey panelled exterior conveys that theme artfully. 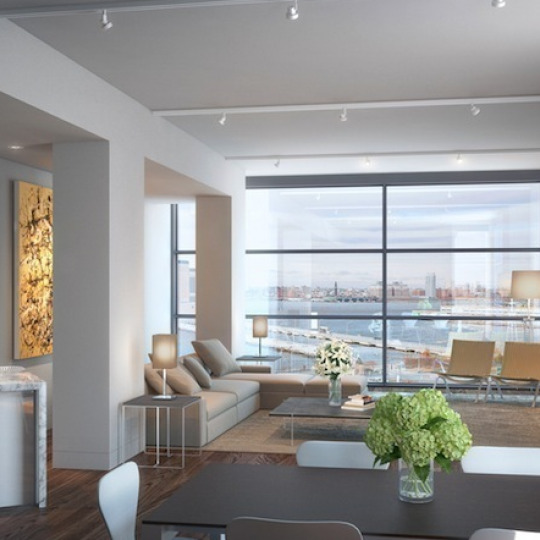 Due to open in 2012, 471 Washington Street offers exclusive luxury lofts with some of the finest high-quality finishes and details of any luxury condos in the current Manhattan listings. 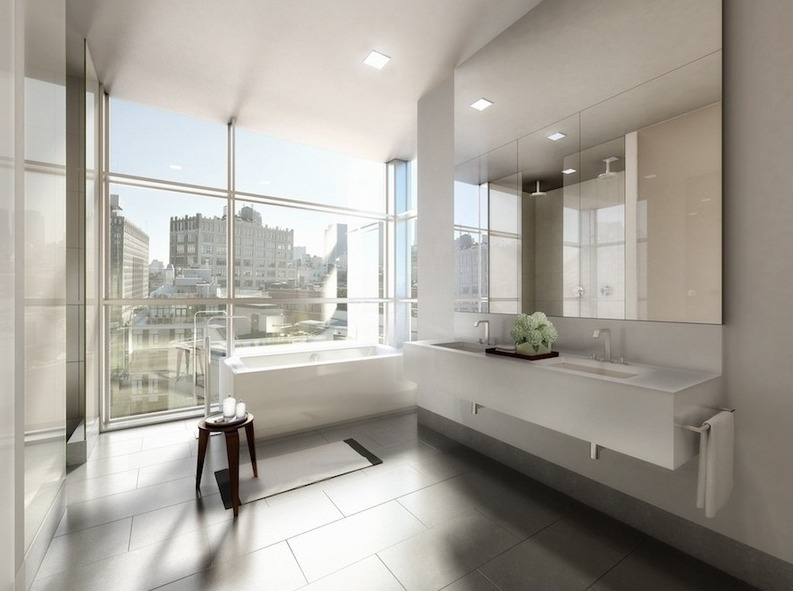 These luxury lofts feature broad, open layouts that evoke classic Tribeca lofts, except at 471 Washington Street these newly constructed lofts are ultra-modern. 11 foot ceilings and floor-to-ceiling windows made of German Schuco glass further enhance the bright, spacious feel of the living rooms. Residents even have the convenience of remote controlled motorized shades and a direct, keylocked elevator entry. All of the luxury lofts at 471 Washington Street feature private outdoor spaces such as walled-gardens, balconies, and set-back terraces. 471 Washington Street is situated right a green, airy space on the Hudson River, and residents will enjoy protected Hudson River and park views. Amenities include an attended lobby and available storage space. 471 Washington Street anticipates 421a tax abatement for its residents as well. 471 Washington also benefits from a prime location in the popular northern section of Tribeca, which lies not only close to the great restaurants, boutiques, and cafes of Tribeca, but all the cultural fare of SoHo and the West Village as well. Interested in staying informed the 471 Washington Street and other luxury condo buildings throughout Manhattan - you have come to the right place. Construction Netting is coming off at 471 Washington Street revealing lots of gorgeous panes of glass overlooking the Hudson. 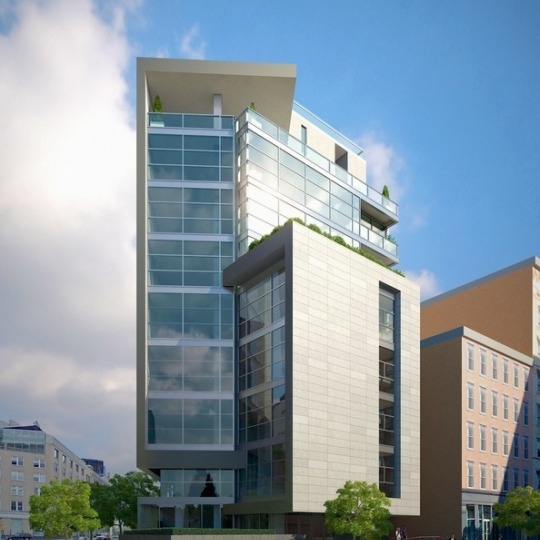 Despite delays at 471 Washington Street, as of now 11 of the 12 apartments are in contract. 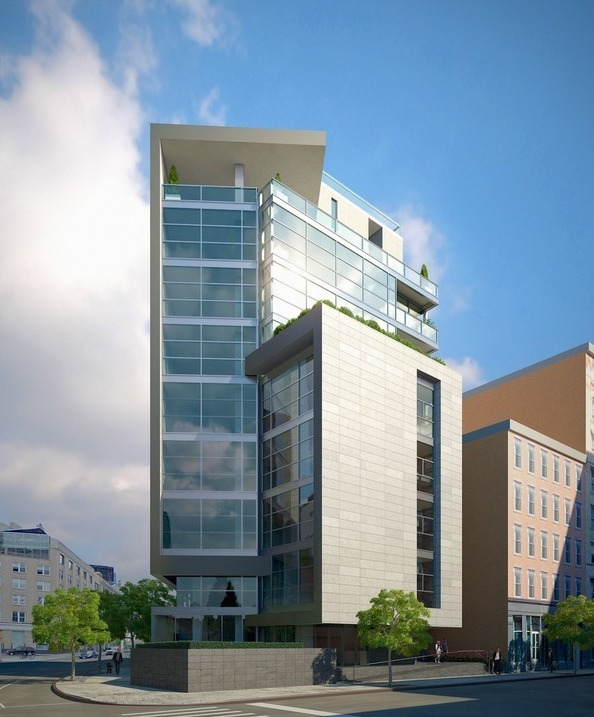 471 Washington Street is now back on the market with slight revisions to its construction plan. Listings right now are running from $1.85 million to $5.25 million. 471 Washington Street has topped out at nine stories. There is also a new proposal for 12 units in the building with three duplexes at ground level.